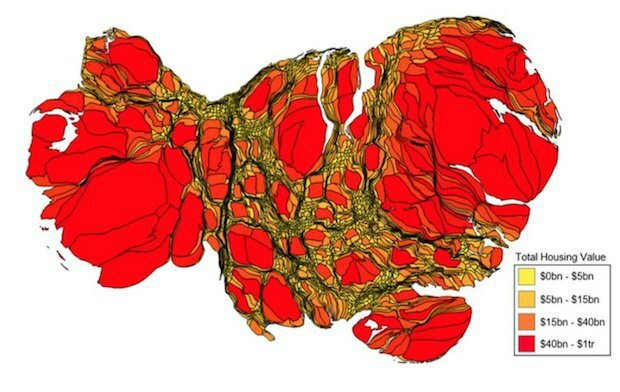 Map of the day: What f@#cking swear word does each American state use the most? 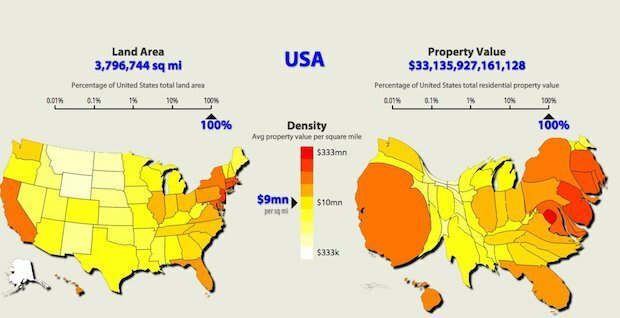 Out of the 3.8 million square miles in the continental United States, the states with the highest property value are California, New York, Florida, Texas, and Pennsylvania respectively, according to Metrocosm. The Economist reports that five counties in the New York area, Queens, New York, Kings, Nassau, and Westchester, account for 0.026% of the Untied States yet constitute 5.1% of the overall residential property value.